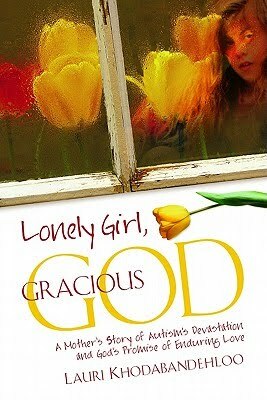 Lonely Girl, Gracious God is a mother's story of Autism's devastation and God's Promise of enduring Love. From the moment Farema is born, the youngest daughter of four girls, her parents realize she's not like other children her age. She doesn't reach out for her parents like most children do, she doesn't make eye contact, nor talk and coo but she can cry, make funny finger flickers in front of her face, and stiffen, almost like she is having a seizure. Frantic, her mother takes her to doctor upon doctor trying to find a diagnosis that will fit with her mindset. She doesn't want her daughter to be autistic and she pushes anyone out of her life that even suggests it. Through many trials and tribulations, Farema and her family learn to grow with her condition and take one day as it comes. Feeling it important to keep friends and stimulation in Farema's life, her mother enrolls her in many schools, clubs and sport events, only to be told that Farema just didn't fit in with the other kids. One day, after fretting about her daughter slipping away from them, she takes her on a car ride and they stumble upon an ice rink. And for the next several years, Farema learns to open up, communicate and skate like an Olympic champion. However, as fates would have it, Farema begins to fail in her new found strength and freedoms and slips into a place where only God can lead her from. I really loved Farema and enjoyed watching her grow up into a beautiful young woman. I liked the flow of the story and thought it to be well edited. I liked the strength in Lauri's reserve to believe in God and put her trust in him, even when she was fighting his diagnosis of her child. I loved how Farrah looked after her sister even sacrificing herself at times, her love for her younger sibling was beautiful to read and she deserves a huge hug for her tenacity to stand by her sister, even when she was ready to run screaming from the room. I wasn't impressed with the father, he could've been more supportive and attended more of these discussions with his child's welfare. Perhaps if they had walked that path together, Farema's diagnosis could have been found sooner, but to me, it felt like the two of them were always at parental odds with one another, and this sometimes worked against Farema's well being. I was appalled to watch how Farema's treatment went from doctors and nurses running test upon test upon test with no real solution and then after many years of one on one treatment, drugs were introduced to her system. I mean all kinds of them, drugs to keep up awake, to put her asleep, to stop hallucinations, and some of her medications weren't even allowed to be mixed and yet the doctors continued to push more and more drugs on the poor child. What has the AMA medical system come too?? I'm not even sure if some of those drugs were clinically tested long enough to be ingested into human bodies!! I am glad that Lauri found the strength thru the Grace of God, to stand by her child, her husband and her family! From the moment of her birth, Farema was not like her sisters. She didn't respond normally to sounds or the touch of a hand. She was different. Embrace this mother's deeply personal account of tragedies and triumphs, along with joys and sorrows of raising a child with the devastating disability of autism.